Can I claim interest on my refund of care fees paid? Care to be Different > Articles > NHS Continuing Healthcare > Can I claim interest on my refund of care fees paid? Essential: Have You Got A Power Of Attorney? The revised National Framework – what impact will the changes have? When looking to get a refund of care fees DID you know that where there is a previously un-assessed period of care, you can ask your Clinical Commissioning Group (CCG) to undertake a retrospective review to see if you met the eligibility criteria for NHS Continuing Healthcare Funding (CHCF)? 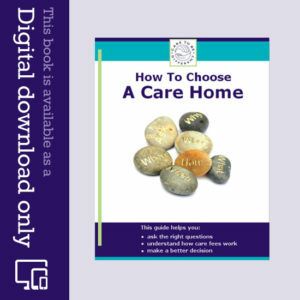 If successful, and found eligible for CHCF, you should be recover past care home fees that have already been paid – which could be a substantial sum. Furthermore, if successful in your claim for review you are entitled to interest on that awarded sum! 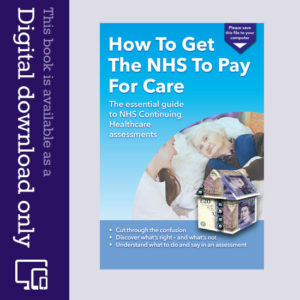 Your entitlement to interest is set out in the NHS Continuing Healthcare Refreshed Redress Guidance published on 1st April 2015. Find out more here. The purpose of the redress is to achieve an outcome that is fair and reasonable and to put “individuals in the position they would have been in had NHS Continuing Healthcare been awarded at the appropriate time”. But the “remedies should not lead to a complainant making a profit or gaining an advantage”. So, in short, if you have wrongly been deprived of the use of monies a long time ago that were wrongly paid for care fees, then not only should you get them back, but you are also entitled to interest as well. That seems fair enough! Tip: So check that any offers of redress made include interest! What rate of interest is applicable? The Guidance recommends that interest be paid at the Retail Price Index (RPI) rate applicable to the redress. That is usually a low a rate of interest. 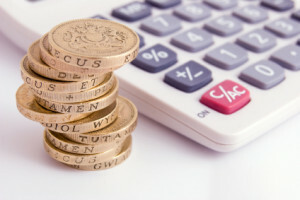 If you want to try and understand the RPI interest offer made, you will need to consult the relevant RPI tables to make sense of the CCGs calculation – which can be quite complicated task in itself. Having said that, their calculations are usually pretty accurate, but it’s a good idea to check for yourself if you can. Can I ever claim a higher rate of interest? Generally, most cases (post 1st April 2015) will now fall under the latest NHS Continuing Healthcare Refreshed Redress Guidance – where interest at RPI is now payable. However, where there has been an inordinate delay, such that the CCG’s decision on NHS Continuing Healthcare Funding is only given long after the 1st April 2015, you may be able to argue that interest should be paid at the previous statutory rate of 8% per annum – which was the usual rate before the 1st April 2015. Has the CCGs conduct has been unfair or unreasonable? Has there has been an abuse of process by the CCG causing the claim to be unnecessarily protracted? Did the CCG behave in an unreasonable or incompetent manner, such that they could and should they have processed the claim much quicker and reached an outcome well before 1st April 2015? Did the CCG put up obstacles to try and frustrate the claim eg by rejecting it incorrectly when assessing eligibility and then wrongly refusing any right to appeal – point blank? A general delay due to understaffing and shortage of resources will not usually be a good enough argument alone. The Redress Guidance does allow for the “CCGs to consider the specific circumstances of each individual case when determining the appropriate level of redress”. Therefore, each case of course depends on its own merits, but if your case started long before 1st April 2015 do consider whether you could be entitled to more than just RPI interest. Sometimes, the interest element can be as much as the actual claim for care costs itself. Tip no. 19: How do I claim back care fees that have been paid? From personal and recent experience, it’s the date on which a primary health need is established, by reference to Nature, Intensity, Predictability and Complexity. This is arrived at after a review of the available records, expressed as a Needs Portrayal Document, which you should have an opportunity to comment upon and supplement with your own evidence. This may or may not result in changes being made to the evidence presented to the panel or clinical nurse assessor, or whoever makes the decision on retrospective decisions – it’s not clear. If the CCG or CSU wants to get themselves into tricky waters, they may also state that the date reflects the point at which needs became non routine. It’s routine/ non routine care that is significant, so it makes you wonder why they’d write that. From Jenny: When mention is made of the case starting, does this refer to the facts of the case which led to no consideration for eligibility happening eg repeated no reply from CHC team when approached for an assessment, and actions by GP which frustrated an assessment etc, or the date on which the claim for restitution or retrospective was made to the CCG or CSU please?